I love to do charity quilts. This is a baby quilt that will go to a little one in a hospital. The nine patches were sewn by several sewers as part of a sewing race at a retreat last year. 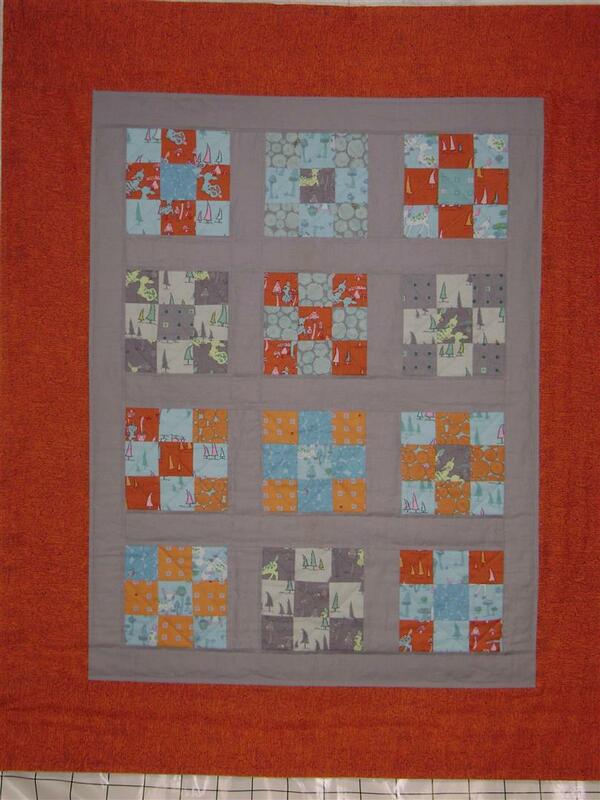 Although a lot of fun, the blocks sure do come out a bit wonky – quilters are so competitive! 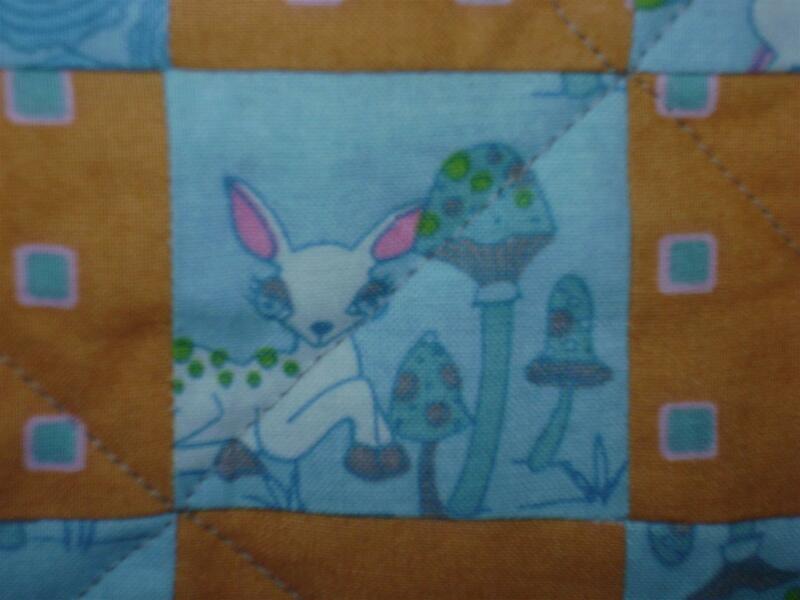 The print has the cutest woodland animals and little trees. 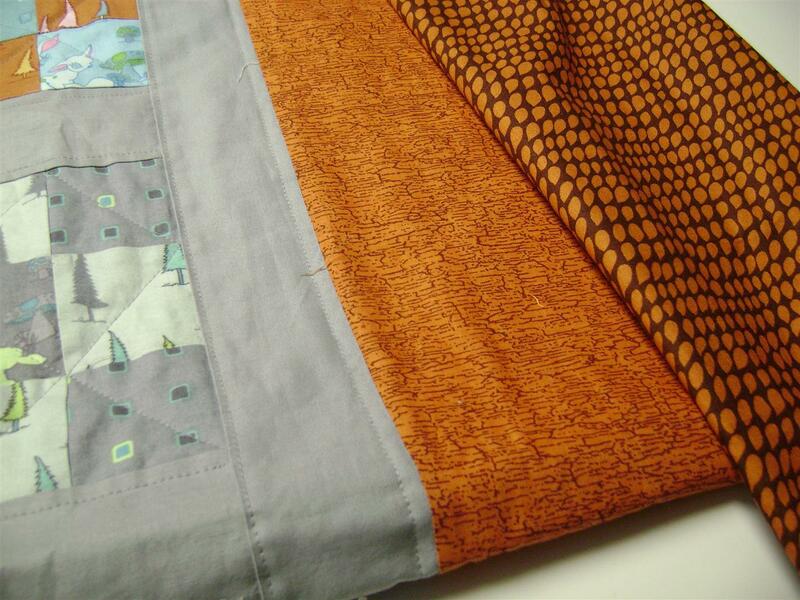 I sewed straight line quilting. I didn’t have any of the border fabric left for a binding so had to search through my stash for the right one. The print I chose auditioned well and now – Yeah! It is finished! 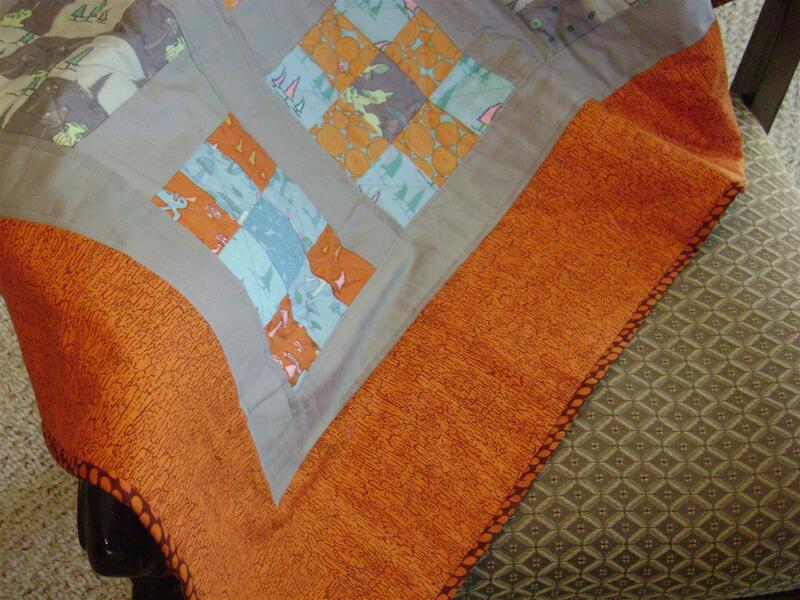 My goal is to do at least 2 more charity quilts this year which will most probably also be baby quilts. Come retreat with me! Blowing Rock, NC. Details HERE. Posted in Quilting, Quilting Retreat. Bookmark the permalink. Very nice and best of all, it’s finished!